Congratulations to the numerous Florida Junior Tour Members and FSGA State Champions from the Class of 2019, who have inked their National Letter of Intent. 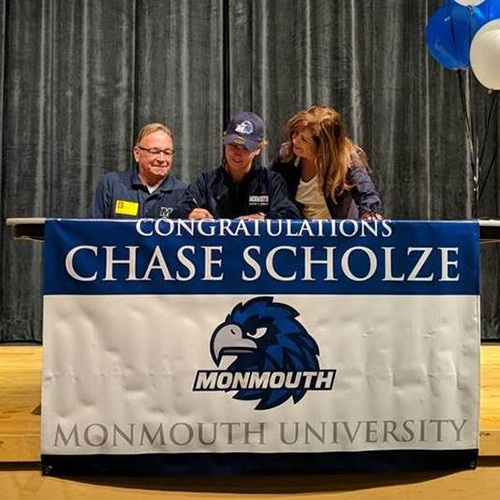 The NCAA early signing period began on Wednesday, November 14, and many Florida Junior Tour members and FSGA State Champions signed a National Letter of Intent to go on to play college golf in the fall of 2019. To share a signing or signing photo, please email Kyle Walkiewicz (kyle@fsga.org) and Lindsey Spatola (lindsey@fsga.org). Drew Angelo, Lakewood Ranch, Fla.
John Driscoll, Lake Mary, Fla.
Jordan Sarhaddi, Land O' Lakes, Fla.
Brett Schell, Saint Augustine, Fla.
Logan Underwood, Saint Augustine, Fla.
Jonathan Lumley, Saint Augustine, Fla.
Davis Lee, Ponte Vedra Beach, Fla.
Ethan Werblo, Orange City, Fla.
Hallie Riley, Calvert City, Ky.
Yixian (Sophie) Guo, Orlando, Fla.